Springboard Excerpts | Read and Soar: "a story of hope in a dark place, a super book that is to be highly recommended." "a story of hope in a dark place, a super book that is to be highly recommended." about her mother, her father stranded at New York airport, hostility from the cleaner’s son and the unfamiliarity of the home she is staying in. But as with the first story, imagination runs riot, or is it reality and does it matter? A beautiful tale shot through with humour that can be read many times. 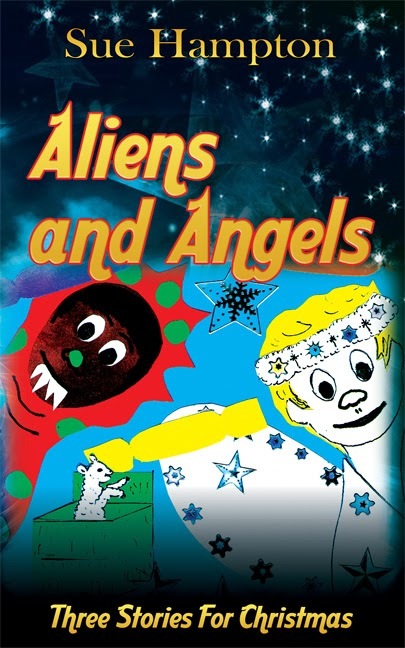 As a Christmas story book I think it will work for a younger child and be read many times by an older child, a super book that is to be highly recommended." About the book Sue Hampton captures the spirit of Christmas with three warm-hearted stories full of humour, mystery and magic – starring a boy who’d rather be an angel than a globalob, a donkey called Trouble and a girl with a cracker-sized lamb. With illustrations by children from schools Sue has visited, this is a book to make you smile at any time of year.